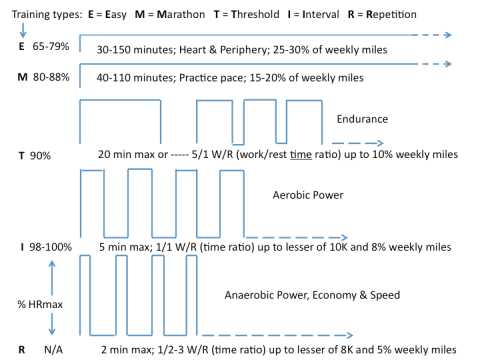 How To Utilize Heart Rate To Become A Better Runner | Run S.M.A.R.T. Heart rate (HR) can be useful in determining personal resting and exercise values. To be working with dependable HR values requires evaluating true personal responses, which typically means gathering data on more than one occasion. For example, measure your resting HR upon waking in the morning on several consecutive days, and hopefully you will measure about the same value on each of the test days. Don’t stand up to get that morning resting value; better to just lie there and measure HR still lying in bed. If the resting value varies over the several test days, just calculate a mean of the different values and count that as resting. Over prolonged time, measuring resting HR can sometimes suggest that you are getting fitter (resting HR is consistently lower than you first-measured value) or going through a phase of overtraining, which will often be associated with an increase in resting HR. If you notice an increase one morning, that may mean that the previous day was a fairly stressful one, and it would be more appropriate to measure an increase in resting HR on several consecutive days before assuming you are overtrained. I prefer using VDOT values to determine speeds of training, but HR during sessions of training can be useful because conditions play a role in exercise HR. For example, if your training pace for Threshold workouts has been determined to be 7-minutes per mile, and HR should be 85-90% of max HR, and on a particular day you are having a Threshold HR of close to 100% of max, this may be because you are running over an undulating surface, running under particularly hot weather conditions [See VDOT Calculator for temperature conversions] or dealing with a headwind, which makes you working at a greater relative intensity than the proper speed would be under ideal weather conditions. The idea of any training session is to have an exercise intensity that is designed to improve a specific physiological function. With Threshold training, that function is to improve your body’s ability to clear blood-lactate accumulations, and exercising at a greater intensity than appropriate does not improve your ability to accomplish the mission. Always realize that you want to train as easily as possible to achieve the benefits you are after than to train harder thinking you will achieve those benefits more quickly. Remember, they usually give awards for faster race times, not for harder training sessions. When training at Interval pace, you should be seeing a HR that is right at your maximum value, but this can also lead to working too hard. For example, if your maximum HR is 180 and during some interval sessions you are seeing 180 with each run, how do you know you are not going too fast (you can’t record a HR that is greater than maximum)? I like to suggest seeing an Interval-effort HR that is just a couple beats below maximum, but not necessarily always at maximum. The speed of Repetition training is such that it will always produce maximum HR, so it’s not worthwhile looking at exercise HR, but recovery HR can be useful with Rep sessions. I typically prescribe taking recovery jogs that are equal to the Rep-pace distances that you are running – jog 400m following Rep 400s, jog 200m following Rep 200s, etc. Checking your HR at the end of a recovery jog can give some information relative to recovery jogs. If recovery HR is getting higher with each recovery, it may be better to take a little long recovery jog before starting the next fast run; let HR guide you with recovery also. Maybe as time goes in a Rep session you are getting hotter and HR tells you recovery isn’t as good. Dr. Jack Daniels is the Head Coach of The Run SMART Project. To learn more about his online training products go here. Customize a training plan for your next race from legendary Coach Daniels here. "It Gave Me So Much Peace Of Mind And Confidence"